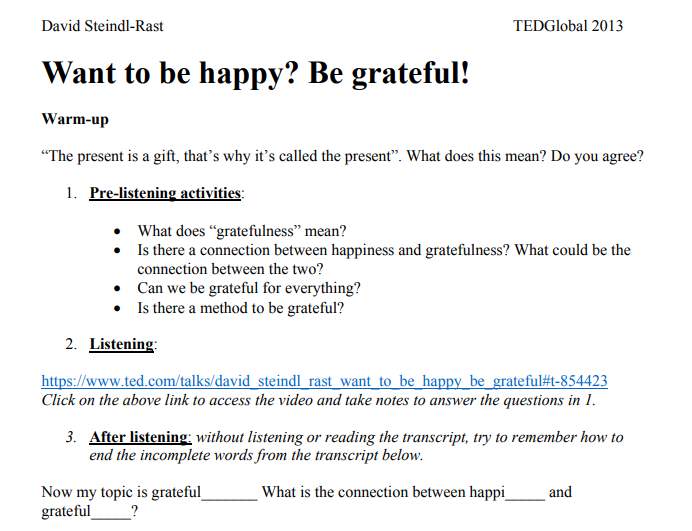 This worksheet will encourage students to listen to, understand and talk about happiness and gratefulness. It is also a great opportunity to practise derivations with suffixes. 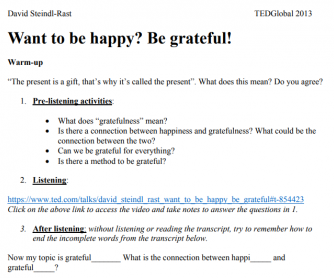 It contains a warm-up activity, a pre-listening as well as a listening activity, and an exercise to test spelling and use of some suffixes from the video.